The terms ‘acid free’, ‘archival’, and ‘conservation mat board” are often used loosely and inappropriately in our industry. What does it mean if a board is ‘acid free’? If a mat board is ‘professional quality’ does that mean it’s ‘acid free’? What is the difference between ‘acid free’ and ‘archival’ and where does the art of conservation framing fall in the mix? In this week’s blog, I will address these questions and provide a framework (pun intended) to guide you as you choose materials for framing. First off, let’s talk about the definition of a ‘framing treatment’. Think about your frame as the environment where your art will live. It consists of your art or memorabilia mounted to a backing board, the frame moulding, glazing (or acrylic) and a mat board. The treatment is a sealed environment, so any acids in the artwork itself or the framing materials, including boards, tapes or the frame itself, will affect how well the art endures. Before selecting your mat boards, determine the purpose of the framing treatment and prioritize your goals. Consider the cost of materials, how important long-term preservation is and the treatment’s overall appearance. Mat boards come in 3 types: Standard (a.k.a. Professional Quality), Acid Free (which is better than Standard but provides passive protection), and Archival (which provides active acid absorption within the frame treatment. More on this later.). Standard mats are manufactured from alpha cellulose, a refined paper product. Acid free boards are made from either virgin alpha cellulose or cotton rag. Mat boards come in different thicknesses or “plys”. Four-ply boards are most common, but thicker boards are an upscale alternative for adding depth without the use of multiple mats. Mats are generally made from a buffered white or cream core, with a paper coating. Costlier mat options offer “through” color, so the window edge matches the mat’s face. As you’d expect, there is a price/quality progression among these choices. 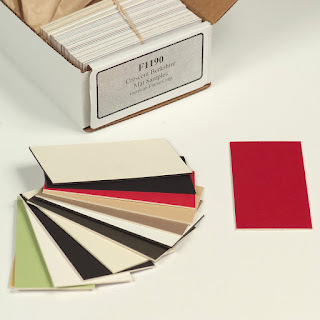 Standard mat boards are the most economical and archival are pricier because of the materials and processes used to produce them. For a low cost, quality framing treatment, choose Crescent Berkshire or Bainbridge Canterbury. The core itself is ph neutral, and offers a barrier between the artwork, and the non-acid free paper surface. It is the most economical choice for art shows, open edition prints or photographs, or other art where the need for a professional look at a low cost overrides the need for longevity. It’s available in white or cream core. When a board is described as acid free, it means that it will not contribute any harmful acids to the framing treatment, thus offering passive protection to your work. It will extend the life of the art work as long as the other components (including the art, frame, and mounting board) are also acid free. In this category, we offer Crescent Select and Crescent Select 6 ply, which is made from virgin alpha cellulose (as opposed to recycled) with an acid free paper surface and white core. These mats have been treated to be fade resistant. It’s our most popular line with the widest range of colors and plys. Though it costs a bit more than our standard line, in my opinion it is well worth it. A couple years ago, I was interviewed for an article on conservation framing for Art Business News, and I still contend that if an item is worth framing, it’s generally worth preserving. While our acid free line offers “passive” protection, archival boards offer “active” protection, meaning they absorb harmful substances from the framing treatment itself and provide superior protection for the long term. The only archival boards on the market are the Bainbridge AlphaEssentials, and AlphaRags with ArtCare technology. The color of the board in both lines is consistent through the core. This means that the edge of your window will match the color of the mat’s face, which provides a more seamless, high quality look from the artwork to the frame. AlphaEssentials is our newest, and very exciting line of boards. Although the available color range is narrow, it features the most popular choices. It is made from alpha cellulose as opposed to cotton rag but is still color-consistent through the core. The artwork benefits from the ArtCare technology at a price only slightly higher than Crescent Select. Alpharag with ArtCare technology is simply the Cadillac of mat boards. It is truly a museum quality product with a beauty unmatched by the other choices we offer. There is a simple, high quality appeal to 100% cotton rag, like a fine cotton paper, which makes it the most coveted choice of all. The rigidity of the board makes it especially practical for framing larger works of art and the texture and color combinations make any framing treatment look rich, for not much extra cost. Still have questions? Feel free to post them here or, or use the Contact Us link to ask for additional information and up to five free sample chips. Need a more complete viewing of your options? Full sample sets of each collection can be purchased online as well. What can I say? What a wonderully informative blog! I am an (Amateur) Photographer and am currently looking to frame some more of my work, has given me some food for thought!